San Luis Obispo County is facing some lean years ahead, already observing "notable signs of slowing" economic growth due to the impending Diablo Canyon power plant shutdown, according to a recent fiscal forecast. Despite the signs of trouble, on Oct. 10, county administrators told the SLO County Board of Supervisors that they'd have $3 million to $5 million available in surplus funds come 2018 to forward their priorities and agendas. But in reality, a financial crunch is hitting the county coffers a lot sooner than the administrators and supervisors realized. In creating the fiscal forecast for the general fund, county officials said they inadvertently forgot to include the expenses of about $8 million in recently approved employee raises, turning a projected surplus into a $3 million to $5 million deficit. "It was an unintentional omission caused by human error," said Guy Savage, the county's assistant chief administrative officer (CAO) in an email to New Times. "Now that the error was discovered, we are re-evaluating our forecast. We now project our expenses to be higher than what we had originally estimated." Savage said the new forecast will be brought back to the board on Nov. 7 for discussion, and county staff and the Board of Supervisors will have to make a series of choices about how to cover the shortfall. WHOOPS The SLO County administrative office miscalculated the general fund budget forecast by $8 million. "It is very disappointing. That is not a small error," said 5th District Supervisor Debbie Arnold, who was the lone dissenting vote when the board adopted several employee compensation increases on June 20. The new employee contracts omitted in the process included public safety units; the public services unit; trades, crafts, and services unit; unrepresented confidential employees; and the District Attorney's unit, among others, according to Budget Director Emily Jackson. Savage, who has been serving as "acting CAO" since the county's top administrative position went vacant in June, said the error wouldn't likely have a noticeable impact on the current fiscal year or "specific projects or services." 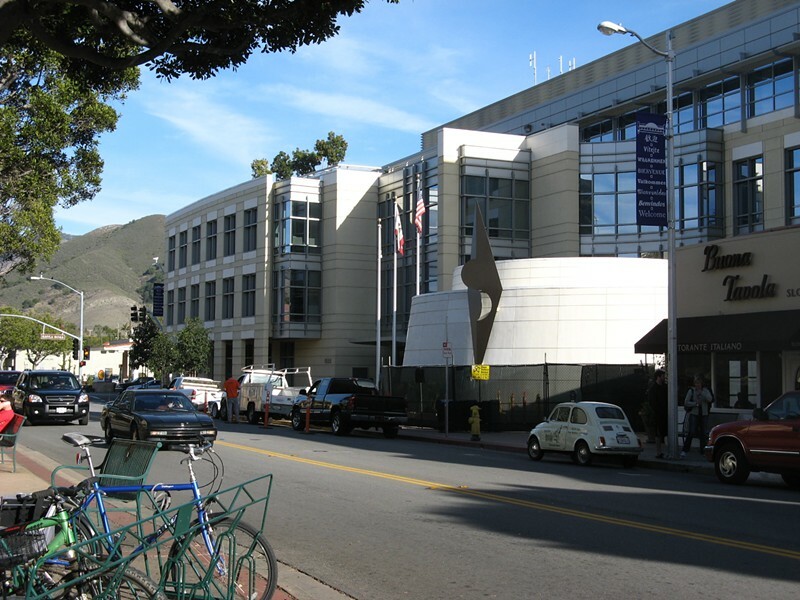 But it will likely change the landscape of future spending decisions—which could set up more contentious debates among the Board of Supervisors about spending priorities during leaner times. Since a conservative-leaning board majority of supervisors Arnold, John Peschong, and Lynn Compton took control of the board in 2017, their policies have been under scrutiny by liberal-leaning supervisors Bruce Gibson and Adam Hill. Supervisors Gibson and Hill pointed to the board's recent decisions to increase spending in public safety (adding new sheriff's deputies in North County), groundwater management (spending $1.25 million per year to comply with the Sustainable Groundwater Management Act), road infrastructure (augmenting the maintenance program by $3.5 million), and capital projects (a $14 million animal shelter) as being ill advised. "It makes problems when you start hijacking the priorities and money," Hill said. "We have to revisit these choices." Hill said he thought the mistakes committed by the administrative office were consequences of board dysfunction. "I haven't seen a mistake like this in the nine years I've been on the board, but we also haven't seen a board like this," he said. Supervisor Arnold expressed frustration with the staff's mistake but said she was confident the budget could be configured to not disrupt the board majority's policy agenda. "I'm concerned, but I do think there are other ways to find the savings," Arnold told New Times. She pointed to solutions like pulling money from contingency funds or having staff vacancies absorb the costs. With respect to the groundwater management spending, Arnold gave no indication she was interested in pulling back that funding. "That is my precious thing," she said. The county's forecasting error hits as the administrative office enters its fifth month without an interim or permanent CAO. Savage has assumed that role, but was not promoted to interim status by the supervisors, despite many closed session board meetings discussing that position. The supervisors abandoned hiring or appointing an interim CAO, and now there is an open search for a permanent one. In the meantime, Savage said he's doubling back through the budget process to ensure a similar miscalculation won't repeat in the future.